Are you excited and intrigued? I am. Take a deep breath in and out. Let ‘LUNGS’ do all the work. This band have been about for some time now, founded in 2011. A new project of former Guillemots Brazilian guitarist MC Lord Magrão and Australian vocalist Suzie Blake (Who also created the art work for the latest single) are the fresh London based band you now know as ‘LUNGS’. Slowly coming out of the wood-work while building a fan-base and creating music, these guys are not in a hurry to throw out commercial pop or anything without style or class, it shows with their debut release of ‘Faraway’ available to buy now. I like this attitude. Many of the great bands out there put effort and love in to what they do and then release it to the world, ‘LUNGS’ are no exception. Talent and longevity is grown from this kind of attitude in music. When you feast your ears on these beauties, instantly you’ll be screaming for an album. Good music is what creates a buzz and with the release of their debut single ‘Faraway’ you’re ready to embrace this band and show them some love. Good music worth listening too. Featuring on the single are two outstanding tracks ‘Faraway’ side A: some used to call it and Side B: ‘Loner’ or double A side. The debut single from ‘LUNGS’ featuring the tracks ‘Faraway’ and ‘Loner’ are available on limited edition black and white 7″ vinyl (only 250 copies of each colour pressed). Via ‘Hero Records’. Digital download EP features 1: ‘Faraway’ 2: ‘Loner’ 3: ‘Faraway’ (Hero No 7 Remix) 4: ‘Loner’ (The Focused Distraction remix) and 5: ‘Loner’ (Objeto Amarelo Remix). Before we go any further can I just say how exciting it is to have such talent as shown here by ‘LUNGS’. Overflowing with stunning vocals from Suzie Blake that are magical enough to take you back into the enchanted forest of lushness and ‘faraway’ you’ll be. You can “Keep calling” but no-one will hear you. Beautifully put together, it’s bursting to the brim with rhythmic drums and guitar reverb and chords, shining with bright colours of a ‘globular cluster’ of vocals. I give ‘LUNGS’ a standing ovation and 10/10 for what is a luxury of sound. A pure hedonistic pleasure to my senses. By the time you’ve reached the end of the 1st track you’ll be picking up the needle to start all over again, or pressing play if you’re a modern kind of listener. I haven’t even spoke of the dark 2nd track ‘Loner’ that comes with it. As you’re floating through space with the delights of ‘Faraway’ ‘Loner’ will take you dangerously close to the brink of no return. This is going to be the most musical fun you’ve ever had and the ride of your life. The future is going to be huge. 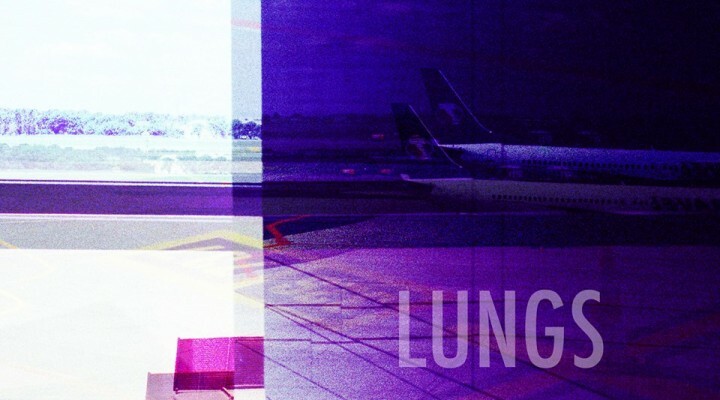 ‘LUNGS’ are already putting out high standards of quality music and it can only get better. Putting out a quality debut single such as ‘Faraway’ leaves me in no doubt, this is a foundation built by people who know exactly what they’re doing. No cowboy builders here. This entry was posted in Introducing and tagged Faraway, Guillemots, Loner, LUNGS, MC Lord Magrão, Suzie. Bookmark the permalink.